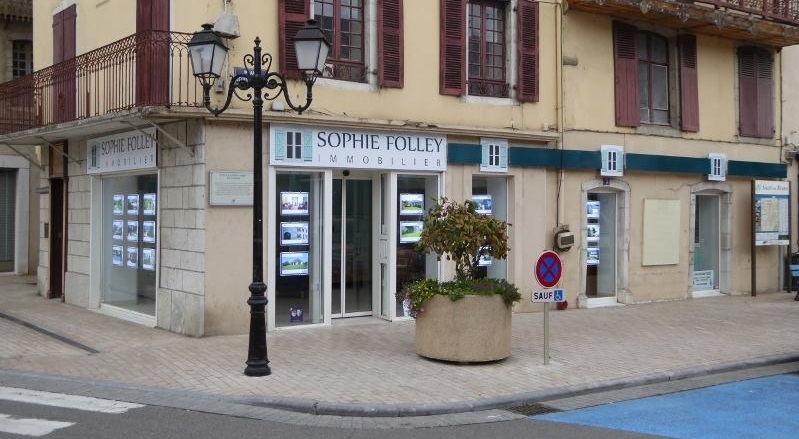 Sophie Folley Immobilier is an independently owned, fully registered and insured, estate agency in the south Aquitaine region of France. The founders, Sophie Folley and Matthew Burnett, both provide 12 years of valuable experience helping people to buy and sell property in the area. Their depth of knowledge of the local market, and of the buying process, means you can be assured of receiving the very best personalised service and professionalism. Sophie Folley studied French with business studies at Humberside University. She moved to the Bearn in 2005, has a French husband with a roofing business, and a seven year old daughter. She is, therefore, intimately involved in French community life and very well-placed to help with all aspects of settling in to the area, whether it be sourcing local craftsmen and tradesmen or registering children into the local schools. Prior to his current work, Matthew Burnett worked for French companies, in the paper and packaging industry, for 25 years. He is very familiar with the area having lived here since 1997 and is passionate about local culture, history and rugby ! Dominique is our secretary since october 2018. Native from Béarn, she worked for 13 years in airlines before returning to our beautiful region with her family. She will know how to inform and assist you in administrative procedures. Akri is French-Tunisienne, with 20 years experience in the tourism industry in Tunisia, Greece and Paris where she ran a travel agency. She arrived in the Béarn 22 years ago to renovate an old farm house for her and her family to live in. With her experience in negotiating, her patience, her ability to listen and advise, and her love of old stone houses, she decided to move into the estate agency field where she has now been praticing for 11 years. She will be an excellent guide in helping you find what you're looking for and to settling into the area. Liz has been living in France in this beautiful region for 9 years, she arrived in France in August 2008 with her husband, two children and various animals. They went on to run a lively bar/restaurant in the centre of Salies de Bearn. Previously, Liz has worked full time in UK and this had always been in horticulture, in private orchid and touristic gardens. Liz has a passion for both houses and matching clients to the right house. She will always be pleased to help you in your search or to sell your property ! Belgian-born, Catherine recently moved to our lovely region with her companion and pets searching for quality of life. Holding a Bachelor’s degree in Business & Administration, she worked more than 15 years in the music business before joining an Animal Welfare Association. Her professionalism, multilingualism and quality training as a real estate agent ensure that she will provide the best service for your house-hunting project.